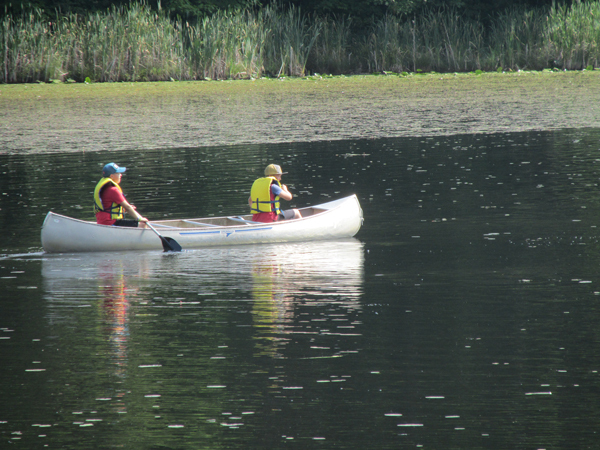 Boating has become one of our most popular activities since we added kayaking to our already popular canoeing lessons. 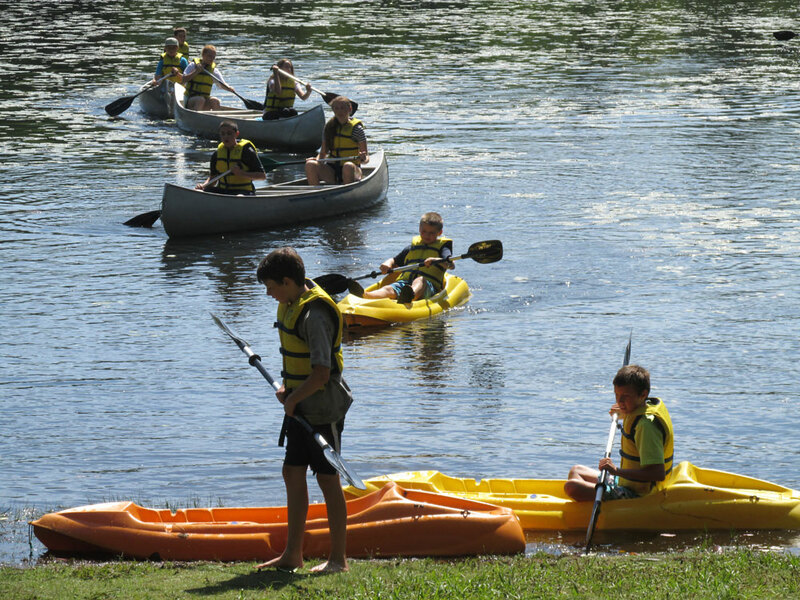 With seven three person aluminum canoes and an even dozen single person kayaks there is plenty of space in the program for beginners, seasoned boaters and everyone in between. 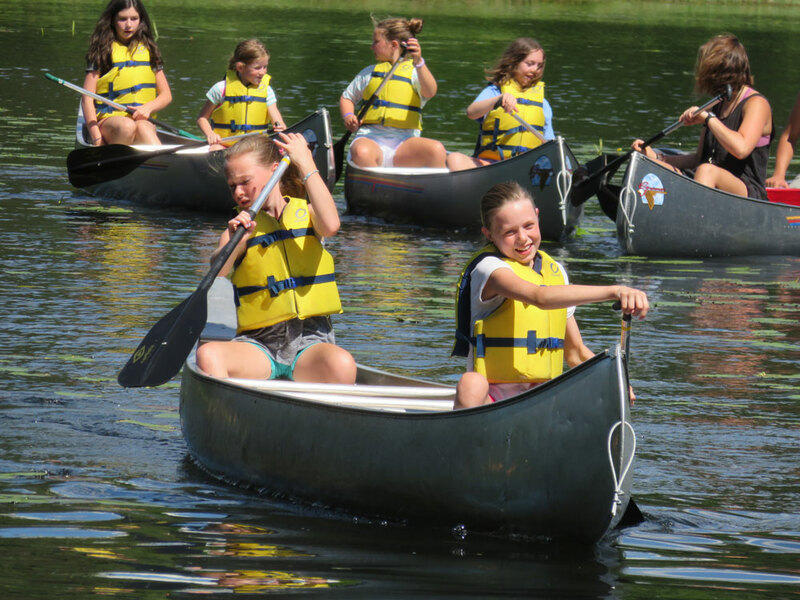 On day 1, under the direction of a certified Red Cross life guard and a trained instructor, the campers will focus on boating safety and basic canoeing and kayaking skills. 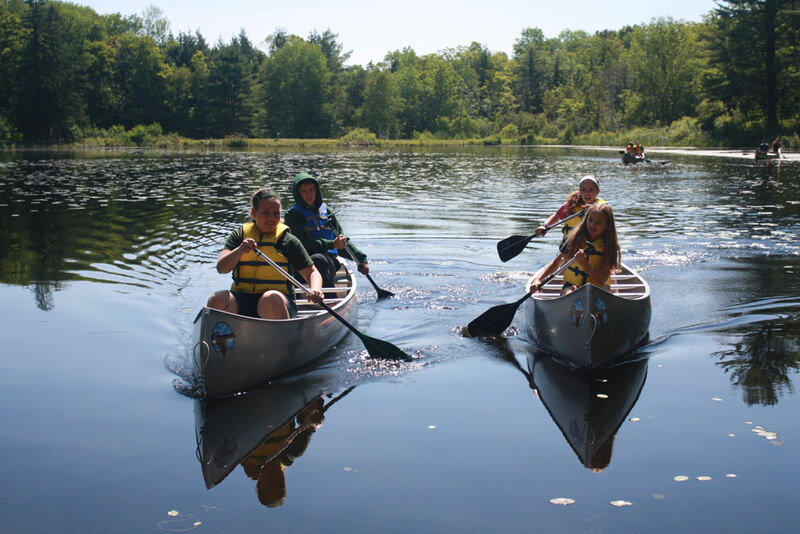 They will be introduced to the proper use and care of the boats and boating equipment, they will be taught several paddling strokes, and they will practice those strokes on dry land. 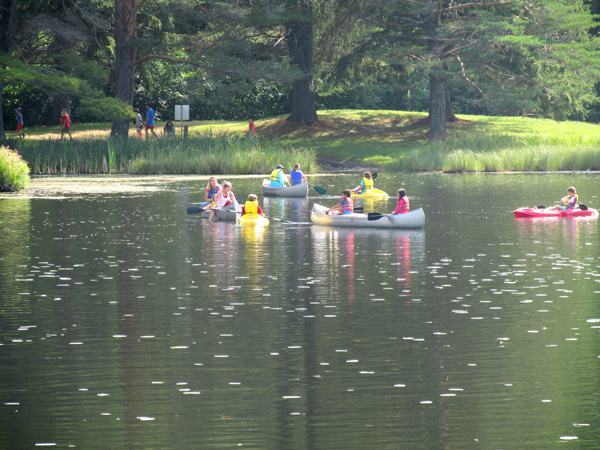 On day 2 they will begin by learning proper techniques for entering, exiting, and changing positions in both the canoes and kayaks, and they will have an opportunity to practice their newly learned skills on the camp pond. 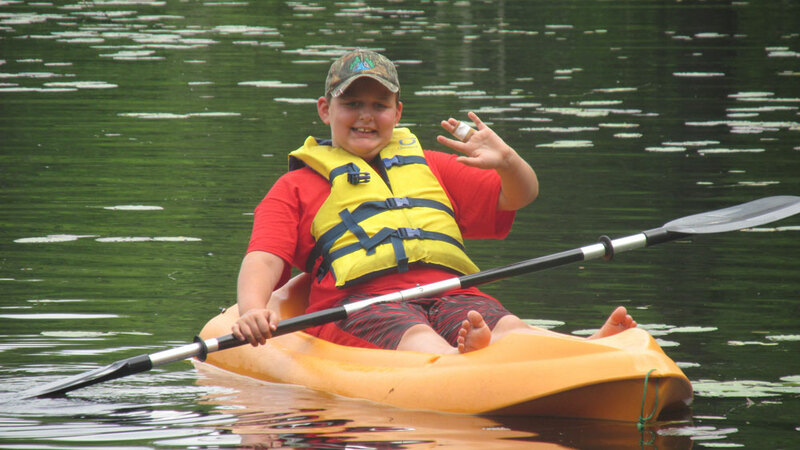 On days 3 and 4, under the watchful eyes of the life guard and instructor, each camper will have plenty of time paddling around the pond in both a canoe and a kayak. 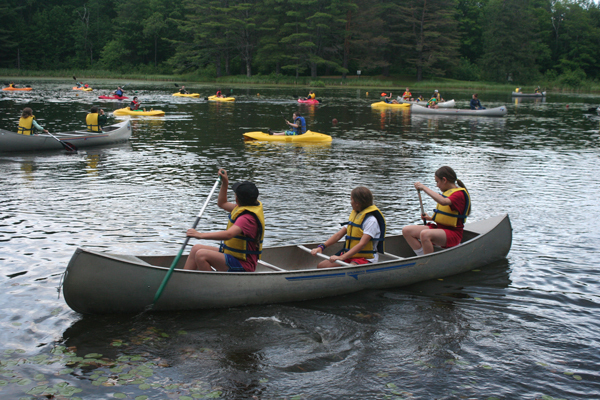 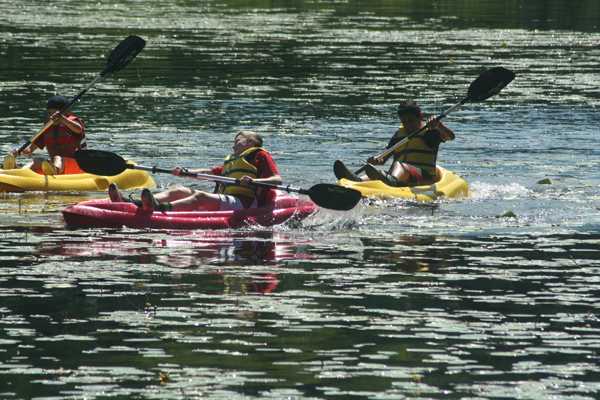 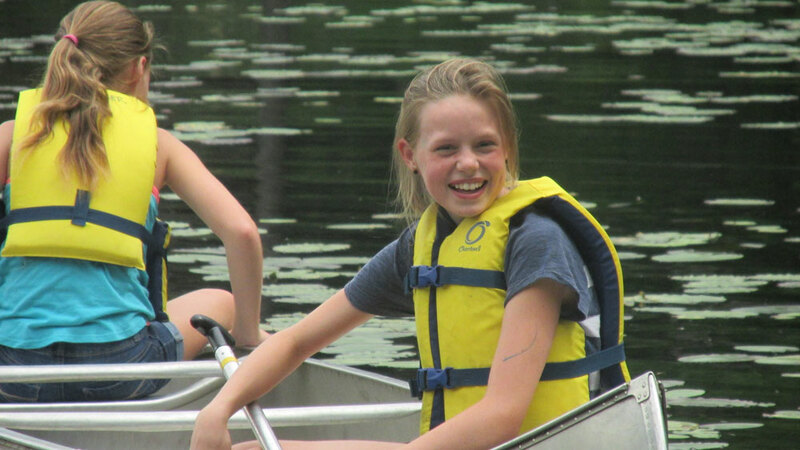 Note: Campers must wear a PFD (personal flotation device) at all times while in a boat on the water.